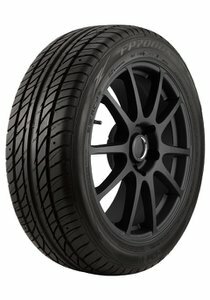 The Ohtsu FP700 is equipped with a non-directional tread design offers excellent all-season performance, smooth ride and multiple rotation patterns to help reduce irregular wear. Variable tread block design helps reduce tread noise, providing a smooth, quiet ride. High-volume circumferential grooves deliver increased hydroplane resistance for excellent handling in wet weather. A non-directional tread design offers excellent all-season performance, smooth ride and multiple rotation patterns to help reduce irregular wear. 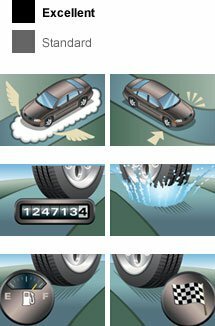 Tread rotation indicators take the guesswork out of tire rotations with reliable indicators built into the tire. Variable tread block design helps reduce tread noise, providing a smooth, quiet ride. High-volume circumferential grooves deliver increased hydroplane resistance for excellent handling in wet weather. A high-tension carcass provides razor-sharp steering response for improved handling and high-speed stability.